Maybe you're one of the millennials who's fully on the nutritious breakfast train. Or maybe your grown-up kids that won't move out of your house due to their expensive grocery buying habits got you on board. Either way, the avocado toast train is a mode of transport you totally want to be on. Depending on the amount of time you have in the morning, you can take this toast to any gourmet level you want. For instance, toss on a fried egg with runny yolk on top of the mashed green fruit for a creamy, dreamy way to start the day. Or throw on some diced tomato and chives to give your morning a fresh twist. Or, simply stick with the classic salted avocado on sourdough and run out the door! 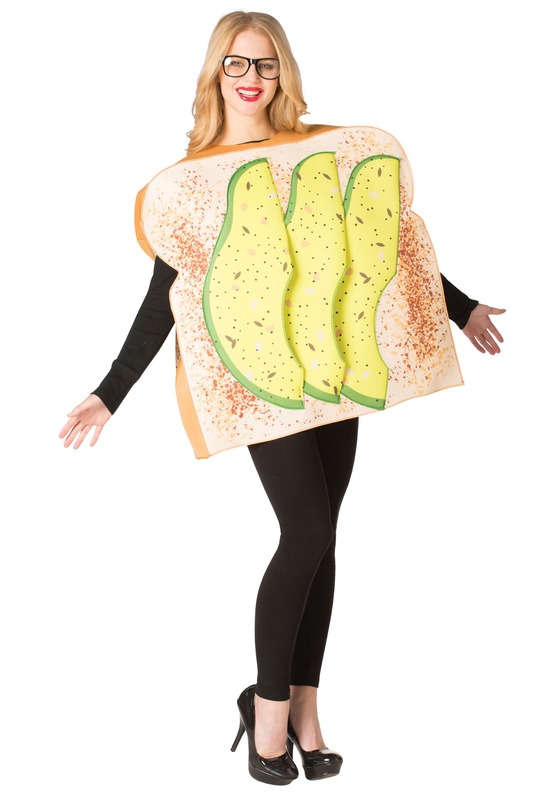 Either way, if you love avocado toast as much as we do, we understand why you'd want to dress as this yummy treat for your next costume party! 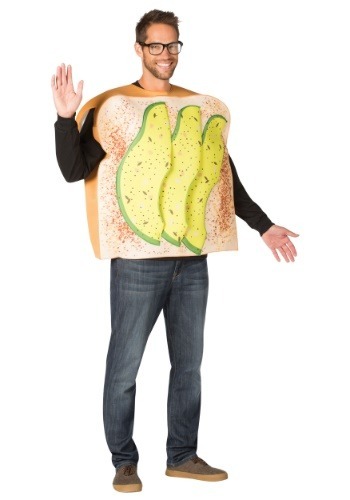 This costume is as easy to put on as it is to put together a breakfast of avocado toast in the morning. You'll make everyone's mouth water with this white bread tunic that's printed with avocado slices and a sprinkling of what we would like to think is cayenne pepper. Just make sure that everyone around you is well fed, you don't want anyone taking a bite out of you. If you're ready for a fresh and easy costume, this is the way to go. The thing is, you don't have to do this breakfast thing alone! Pair up with a fried egg, a slice of bacon, or even a cup of coffee. Wear it to the grocery store to let everyone know what you're there for. Wear it to connect with your millennial child. Whatever you decide to do with this costume, you're sure to enjoy this fresh new start to your costume lifestyle!